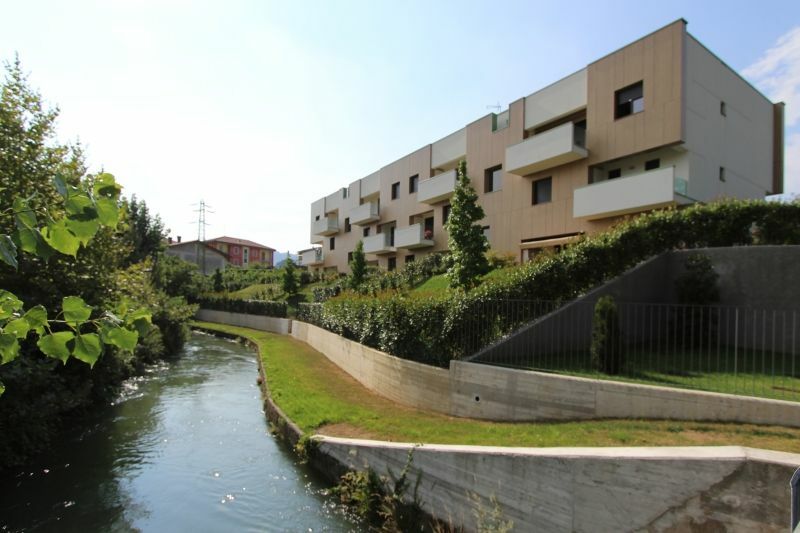 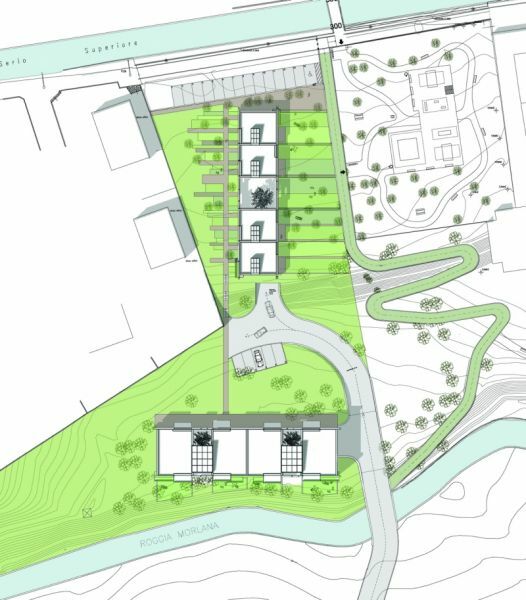 The apartment complex is located within a park of conifers on one site with strong gradient and bounded upstream and downstream from ditches. 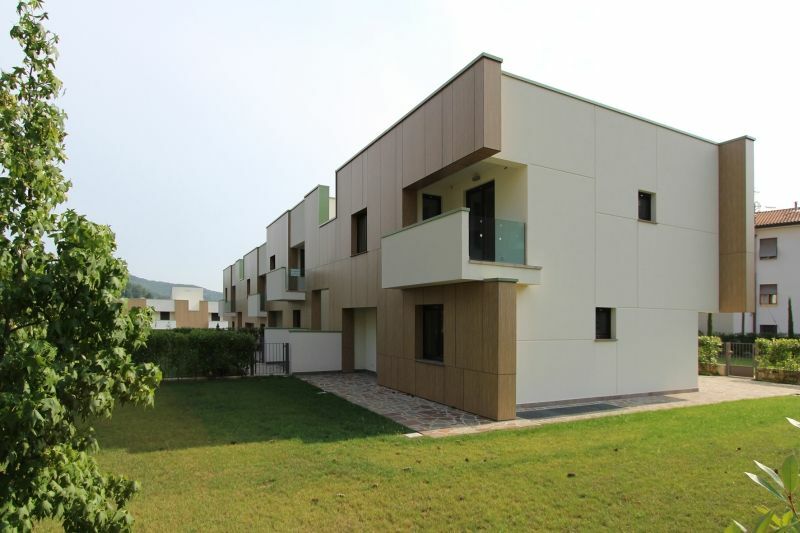 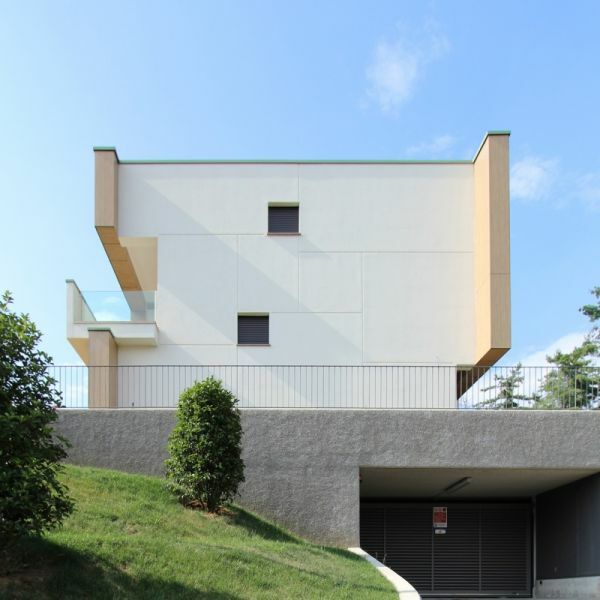 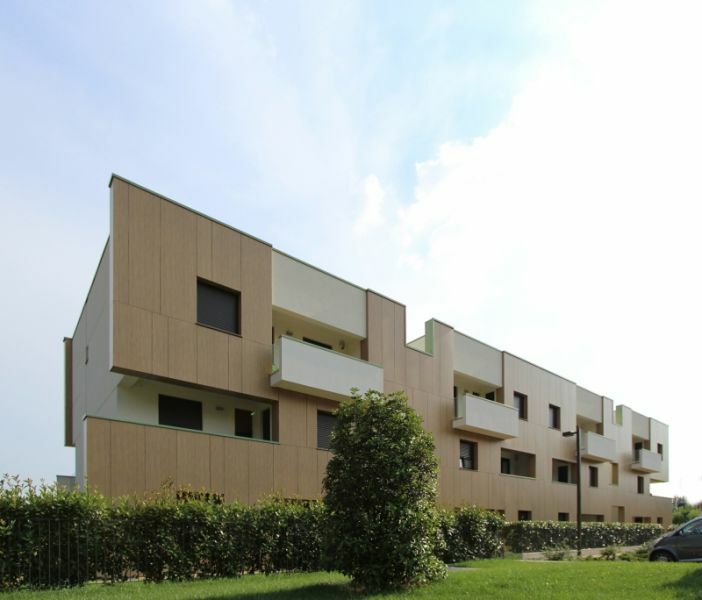 In the two buildings, different solutions are obtained for various housing sizes, developed at one level or duplex. 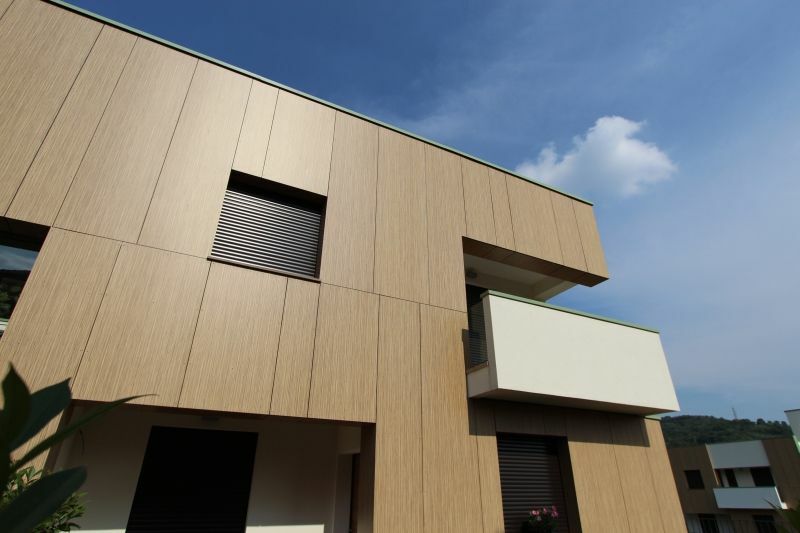 The longitudinal facades have been treated with a kind of staggered hole window, used to house windows or balconies.